Discussion in 'Downhill & Freeride' started by the law, Feb 9, 2013. Anyone else miss the old Dainese Bib Full-Leg Armor? 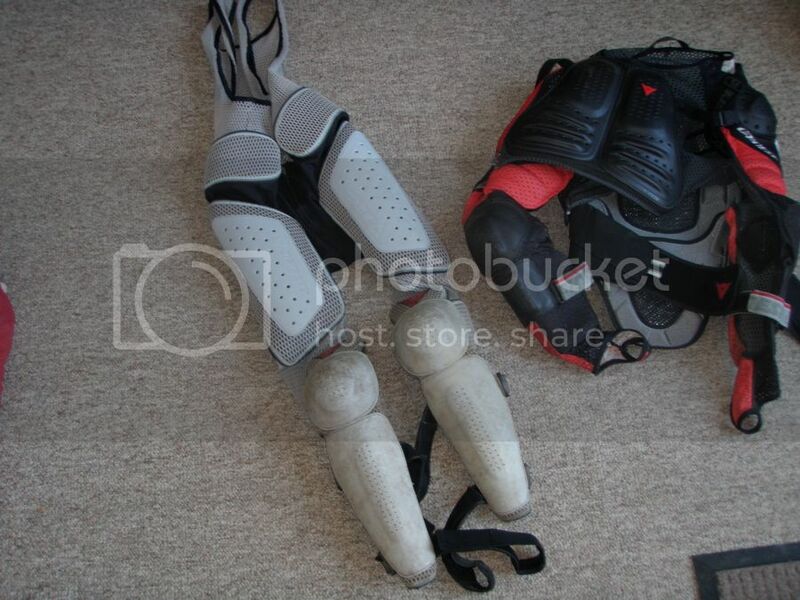 My old one bit the dust and leg armor just has a bad tendency of sliding down my legs in a crash. Is there anything similar out there? What are some of the best leg armors out there nowadays? Most full-length armor can still move down on my leg. P.S. I see these kinds of threads from time to time, but I figure it makes sense to see what else is out there. I used to have a set back around 2002 to 2006 or so. Best thing ever. I just recently scored a set that were more or less brand new for $65 shipped off pinkbike. I was like you: I missed my old set and I didn't like anything else out there. I haven't seen anything else similar really. I was actually considering getting a set of Dainese armoured shorts, or TLD shorts, and then somehow securing knee pads to them. That's the only thing I could ever come up with. On the rare occasion I ride the lifts w/ a dh bike anymore, I bust out the old getup. The original matching jacket died at some point, but the bibs are 12-13 yrs old and hanging in there. Not the en vogue protection anymore - certainly saved me from myself back then. I still have a set of Viking bibs in my closet, but I haven't ridden DH in quite a while. 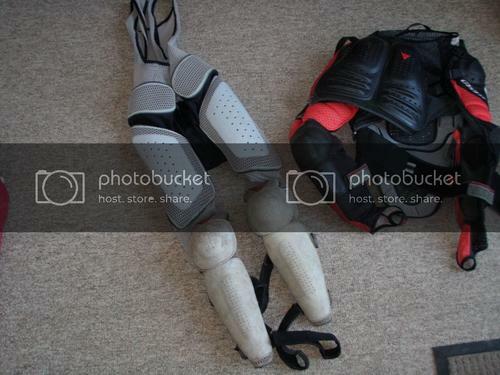 I used them a lot; I don't think any of the straps were still attached properly; I just wrapped them around my leg and the pads. They worked great, except for the plastic being a bit thin (probably made them more comfortable, though). I guess you're referring to 5.10 shoes meaning they kept people from sliding off their pedals. I never had that problem whether I was wearing Shimano DX shoes, regular everyday skate shoes or flip flops. 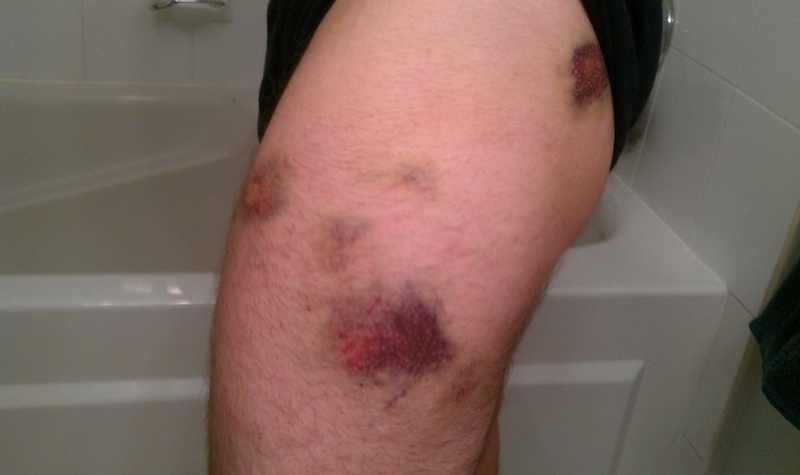 i like my shins enough to still use knee/shin pads. Currently limping my 2nd set through another season. Will be REAL bummed when these things go the way of the dodo. My shins simply don't have room for any more stitches. I had a pair of old Viking bibs but the top part of the bib was pretty torn up so I cut the knee/shin part off and still wear them. 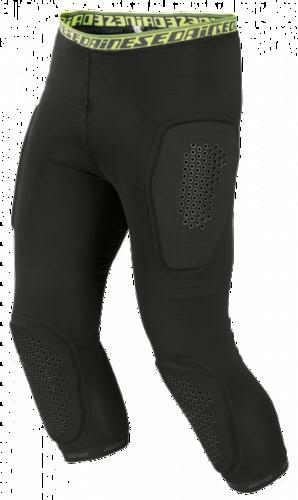 I use knee warmers on top of them and wear them religiously - even on trail rides. Most comfortable setup ever - it's like you are not wearing any pads at all. Wasn't riding DH when this happened, I was on my trail bike... I was up on Fromme on the north shore in a rocky section. Front wheel dug in and I went over and landed in some roots and crap. Hurt like hell. Having those side panels on the bibs would have helped. I just found these. I guess they are the *spiritual* successor to the bib armor. Anyone have any experience with them? They look hot and I am not sure that the knee armor is all that good, but I still like the idea. I can see those being useful for trail riding at best. They do specify they're multisport.